A training Manual Template is one of the many important things which you would need when you are hiring new people in your company. You have to make your new recruits with the way of your workplace, your office culture as well as the operational practices. The training manual is the most wanted here as it contains all the guidelines to work in your office as well as the instructions needed to perform according to the high standards of your company. You have an elaborate Word Manual template here which comes with all the relevant chapters such as purpose of the manual, vision and mission of the company, company management and so on. This training manual template speaks of substance and it has got all the necessary insights one needs while training the micro entrepreneurs. 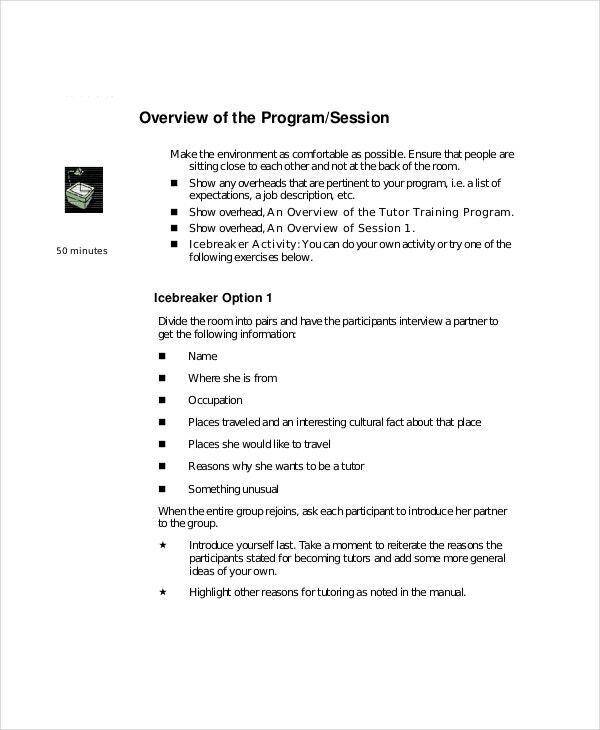 The manual is for a 3-day training program. 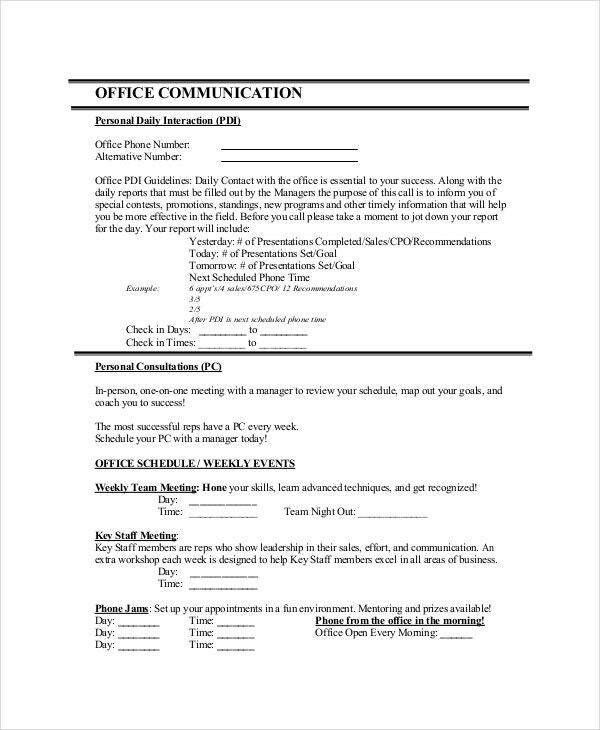 This instruction manual template begins with the significance of a training manual and then it goes down to include all the vital aspects of working in your company- like distribution of job responsibilities, hours of operation scheduling etc. This training manual would be handy when you are planning to draft a sales training manual for the new salespeople in your office. It also includes a brief overview of the company and its charitable activities. What is the Importance of a Training Manual? A training manual is really important when you are hiring new employees in your office. When new people come to your office, they usually don’t know about the policies, practices and the mode of operation in your office. 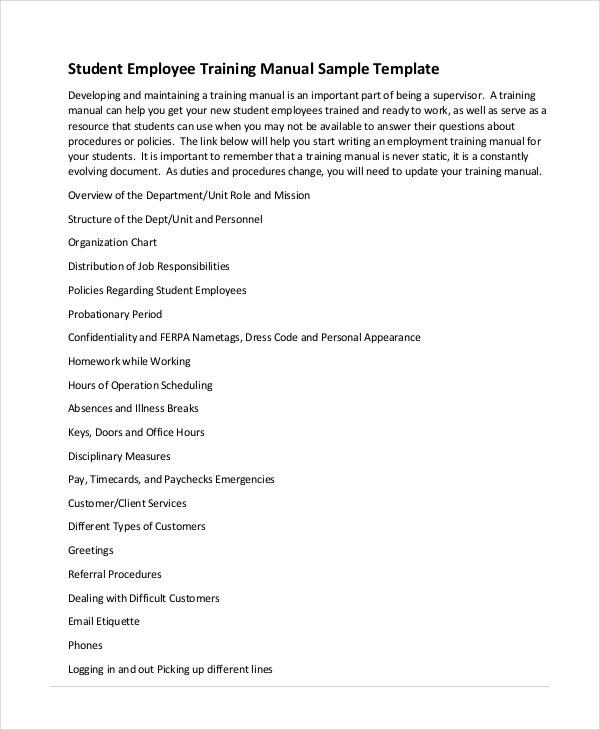 A training manual template is handy here as it carries an overview of the culture and operational practices to be followed by the staff in a workplace. This way, you employees will have a clear idea on what to do and what not to do. 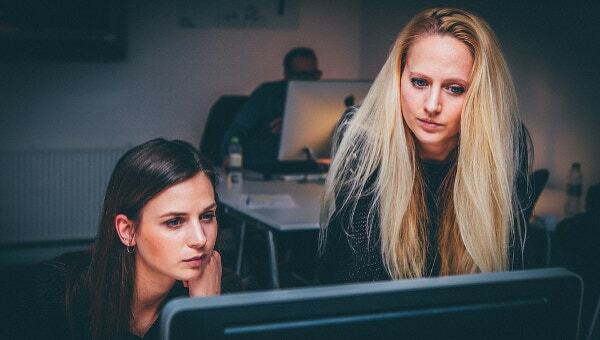 A major advantage of training manual is that helps you to ensure proper quality management in the office by educating the staff about what is expected from them. How to write a Training Manual Template? 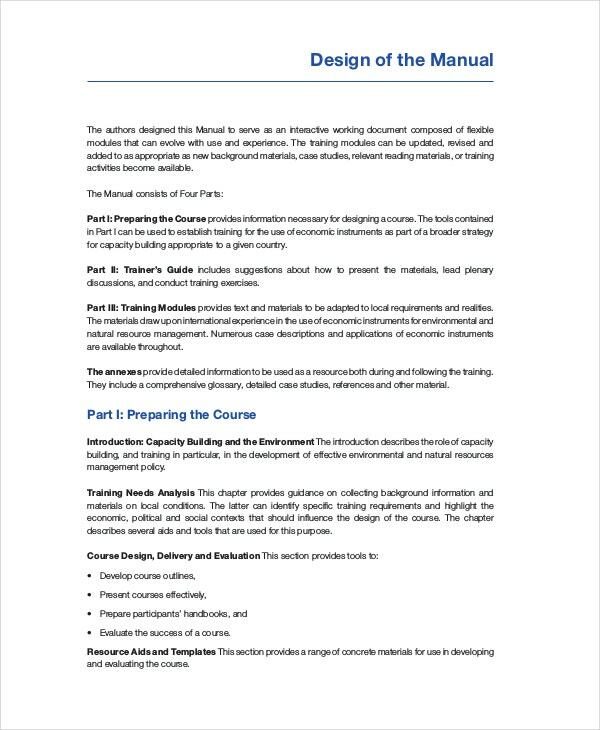 To start with, you must begin your Training Manual Template with an outline of your company. Talk about the guidelines, SOP and the general rules and regulations to be followed by the staff. Then, you can go to the lesson chapters. Note down the steps to be followed as well as the alternate steps in clear bullet points. If possible, include screenshots for better understanding. Don’t forget to include lesson summary after every chapter. There must be a reference section in the concluding part of the manual which will host the summaries. You can keep an acknowledgement form at the end of the manual which would be signed by the employees. If you are looking for help on formatting training manual for your organization, the templates mentioned above would be beneficial for you. 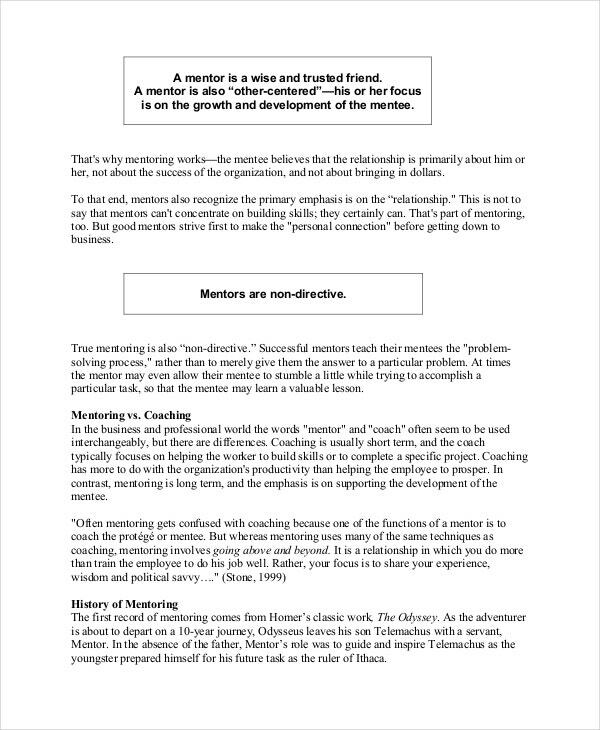 You have readymade training manual template samples here so that you don’t have to create the whole thing from start. You would simply have to download and customize a suitable one as needed.